In this article, we will learn the meaning of career goals with an example. We will also learn about types of career goals and why it is important to have career goals in life. Here, we will also learn how to create realistic and achievable career goals in life. When a person is asked about his or her career goals, the hiring manager basically tries to figure out if the goals line up with what the person would be doing in their company. Most successful persons have a clear vision of career goals in early stages of their life. The above mentioned questions are not just FAQs (frequently asked questions) for any job interview. The answers of these questions give complete idea about the vision of a person. In this article, we will understand the correct meaning of career goal, their importance in the life of a person, different types of career goals and how one can set realistic & achievable career goals. A career goal is basically setting up targets (academics & professional) in a particular time frame. For example: A 17 year old boy, who has just passed his Class 12th exams (in 2017), has decided that he will enrol in a 4-year engineering course. Then, he will work for 2 years in a multinational company. After that he will try to get into management course from a reputed B-school and after wards he will try to become CEO of XYZ Company. This is a simple example of a career goal of 17 year old boy. There are many more examples like this one. What are the different types of career goals? Coming to different types of career goals; these are usually short term and long term. While the short term career goal is of a shorter duration (as the name suggests), goals set for 10-20 years are long term ones. 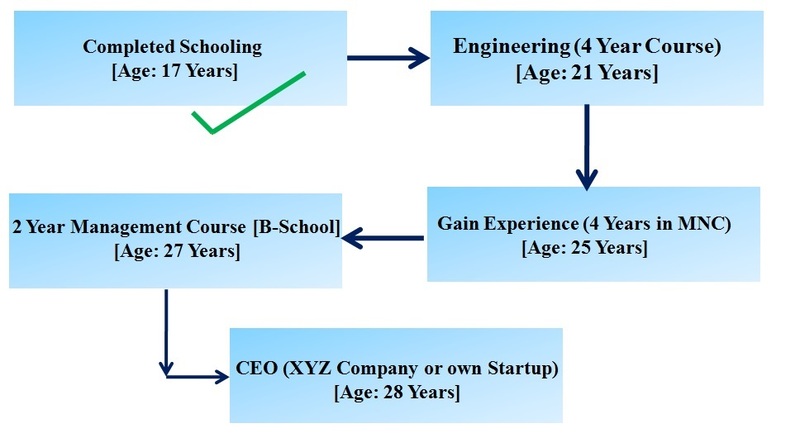 For better clarification, the career goal of a 17 year old boy mentioned above is an example of long term career goal. 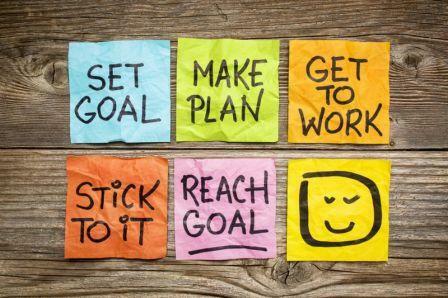 For short term goals, it can be discussed over small, achievable tasks and targets. Why is it important to have career goals in life? A target set compels a person to achieve it. Likewise with a career goal set already students (especially) will get a proper direction to the life ahead and strive hard to reach the target and accomplish the task. However, it will be difficult to achieve long term goals. In that case, break down your goals into small, achievable tasks so that you get frequent opportunities to accomplish them and feel motivated to take on other goals. When people set goals, they have a clear vision (or targets) and they think ahead. Whatever these people do in their daily life, they relate it with their main target. They keep tracking their progress. With time they face challenges and this is what makes life interesting. On the other hand, people who don’t set goals, they get surprised when time pass by & they find that their life is same. After working for 4 to 5 years in a company they will find that they are doing same exact thing at the exact same company. They live a dull and boring life. How to create realistic and achievable career goals? Know what your talents are, understand what your passion and follow what you think is achievable for you! Setting techniques that are used by successful people is also a major strategy and this has proven results as well. One can’t be CEO of a well-established company in 1 year (his or her own start-up will be an exception). One needs to do an in-depth research before setting up any realistic career goals. First, decide what you want to be in your life and at what age. Then, look for all sorts of resources you have with you. Afterward, analyse your ability and potential. Then set up milestone or short term and long term career goals. One needs to keep track of their goals and work hard accordingly. After getting clarity about career goals, types of career goal and how to set up one. You can also set up your own career goal. Questions related to career goal are frequently asked in job interviews. So, you must have clarity about your career goals.